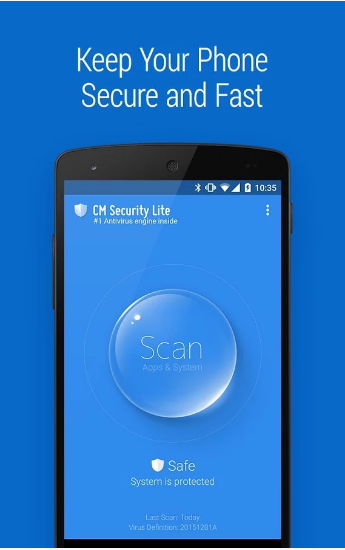 Enhance the security of your Android phone using Cm Security Lite apk. 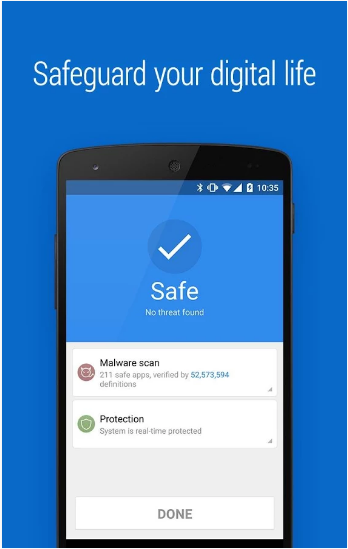 It is one of the best Antivirus app that will scan your phone for virsues, malware, trojans, spyware, threats, & other harmful programs that cause danger to your data. As soon as it came across viruses, it will immediately take appropriate action against them. It has been ranked #1 Antivirus through AV Test. You can not only scan phone but can also scan different apps too. While surfing internet, it will block all those websites which have got malicious content & can cause danger to your phone. Cm is faster than other antivirus. The size & memory consumption cause by this app is low as compare to other apps. 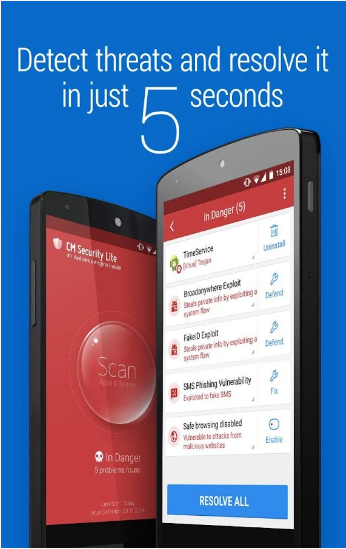 It is one of the lighest mobile security app with 1.28 MB size. The User Interface designed is User Friendly & simple. -After the installation, it will scan all the installed apps for viruses. This will help to keep your phone safe from trojans, malware, etc. -Cm will scan externally conencted SD card for threats. -You can either run a quick scan, full scan, or a schedule scan. It will start scanning your phone after the prescribed time. -The size for this app is small. -Many other Cm apps like Cm locker, Cm speed booster, etc can be downloaded from our blog.